The picturesque village of Rooskey is located on the Leitrim Roscommon border 8 miles north-west of Longford town. The village is an important boating harbour on the River Shannon with many attractive mooring places just out of earshot of the main Sligo - Dublin road . There are some lovely walks here and in particular a refreshing river walk to Roosky Lock. 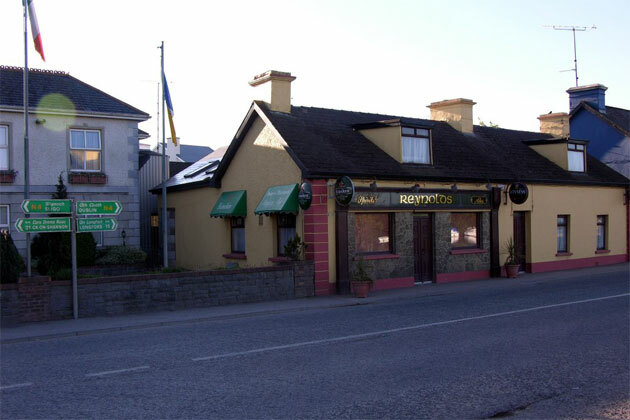 Roosky is an ideal touring location, midway between Dublin and Donegal with either place near enough to take in on a day trip. Amenities in the area include golf, tennis, horse riding, pony trekking, and angling. 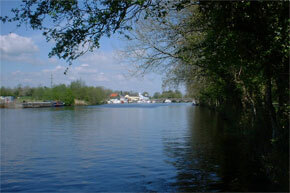 For more information on angling in the area, go to the activities page. The original navigation through the village of Roosky was through a lock on a canal to the west of the river, built in the 1760's. 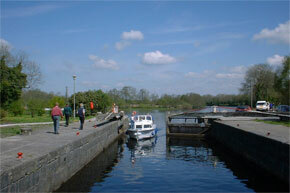 The present lock was built in the 1840's by the Shannon Commissioners, along with the weir and road bridge. The original opening span of the bridge was replaced in recent years by a lifting section. Pigeon Island (accessible by boat) is famous for large catches of bream, roach and hybrids. Popular stickfloat spots are opposite the lakeside garage on the N4 and on the concrete island in the river. Weir Island has about 8 pegs, and fishes well for roach, hybrids, bream, perch and pike. 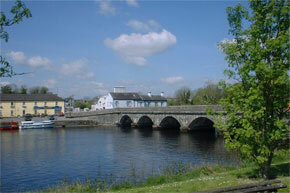 Kilbarry, which translates to 'The church of Barry', was site of the monastery and churches of St. Barry. The remains of at least two churches survive. 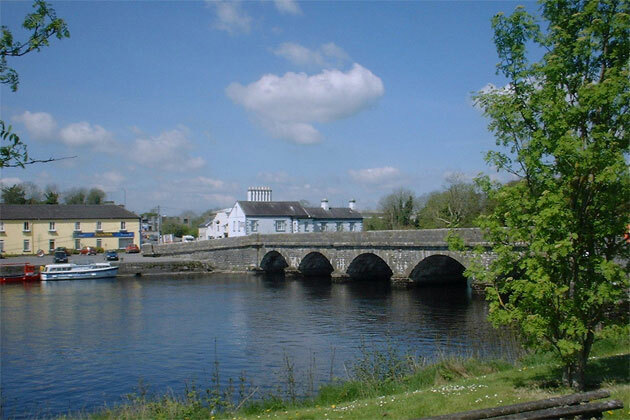 According to legend, St. Barry had no boat to cross the river, and used a larger boulder to make the crossing. There is a boulder at the church at Whitehall that is said to be the boulder used by him. Castle Forbes in nearby Newtown Forbes, was originally built by Sir Arthur Forbes in 1641, and the present house is a nineteenth century building.